Alabama is full of kayak fishing action in April. Each week in April you will have an opportunity to participate in a kayak fishing event in Alabama. Eight different clubs, to include a national trail, will be holding events throughout the month. This weekend the Iron City Kayak Anglers hold their first tournament of the year on the Black Warrior River. The North Alabama Kayak Anglers are holding a demo day in Scottsboro this weekend as well. You’ll be able to take a wide range of kayaks for test drives on the flat water around Jackson County Park. NAKA is also host a “Major League Fishing” style event that day. More info here. The national Kayak Bass Series trail visits Lake Eufaula on April 8th. It is the first national event held on that body of water. The Coosa Canoe and Kayak Fishing Tournament is holding their second event of the year on Logan Martin on April 8th as well. 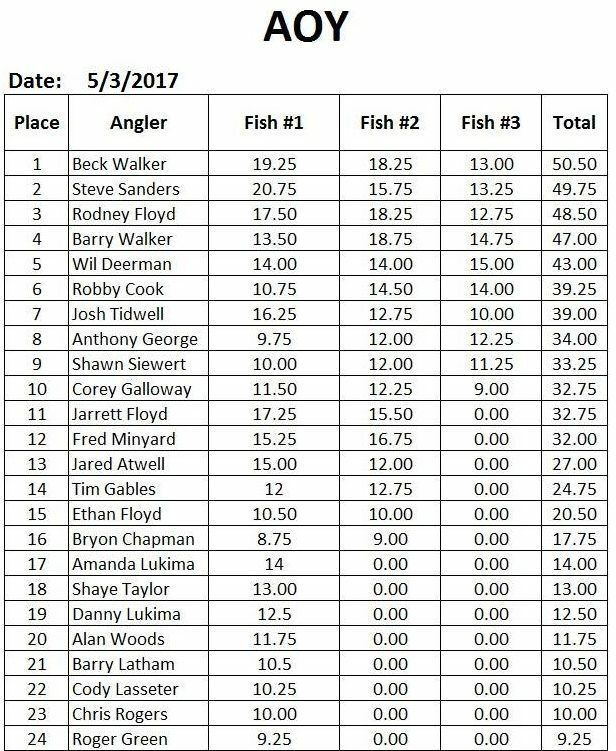 Also that weekend, the Shoals Kayak Anglers hold their second event. This time, they will be at Wilson Lake. A Georgia-based club, the Reel Krazy Kayak Tour, makes their way over to Lake Weiss at the end of the month. For more information about these events, seek out the Facebook pages for each host organization. Those links can be found at the bottom of our master tracker page. Here’s a list of all the events we are tracking for the month of April. A full is of Alabama kayak fishing events can be found here: http://alabamakayakanglers.com/resources/events/2017-kayak-fishing-events-in-alabama/.